Albert Drew was my uncle. Albert was a motor-cycle dispatch rider during the war and worked on the railway at Grantham after the war up to the mid-fifties, when he joined Shelford’s in Inner Street, Grantham as a welder. 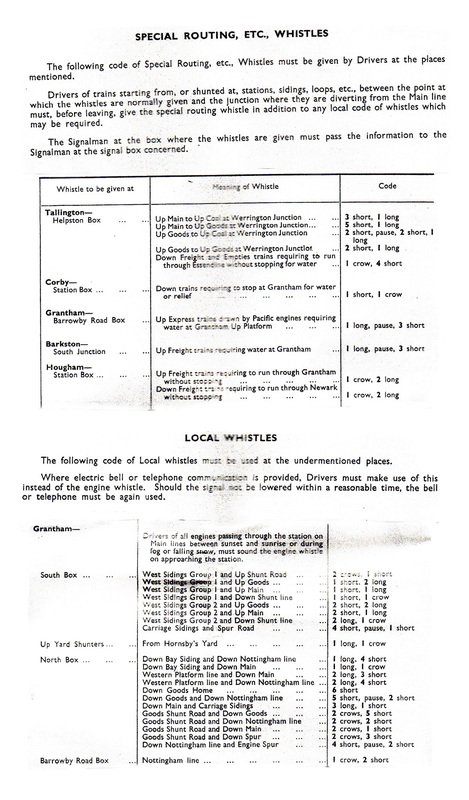 Knowing my interest in steam railways in Grantham, my cousin Margaret (Albert’s daughter) recently gave me his LNER Rule Book dated 1933, a brass whistle with chain and a 1952 booklet headed Codes of Engine Whistles. I would like to share extracts from this latter booklet with you, but first a query. Whilst sitting on top of the concrete slope leading to Springfield Road bridge in 1954 or thereabouts I clearly remember Albert firing on a C12 engine, shunting the west yard. 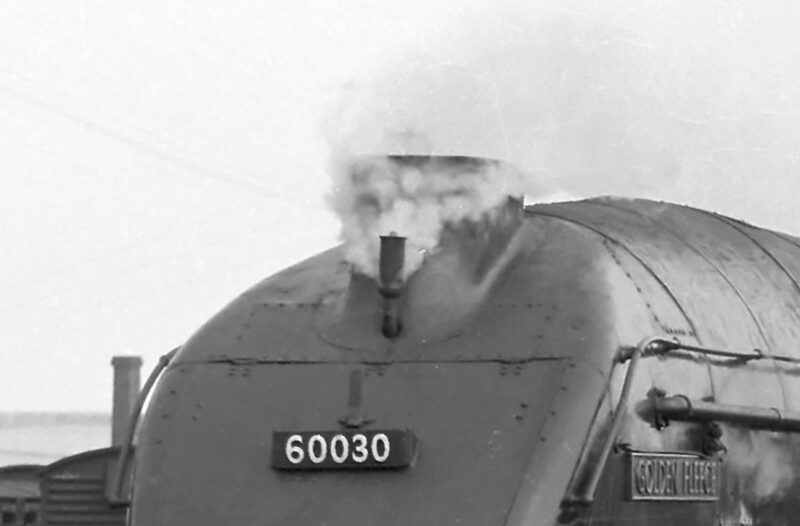 The Rule Book contains the note that he was a Passed Cleaner - so far, so good - but was the LNER 1933 book still current in the late forties, or had Albert actually joined the railway pre-war? Anyway, to get back to the whistle theme. As an outright train spotter I was not aware that there was such a rigid requirement for engines to whistle. 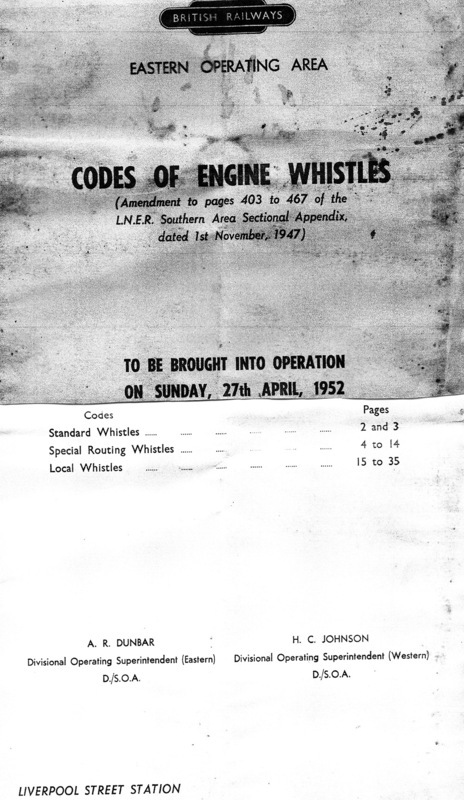 Consequently, when Albert’s battered copy of Codes of Engine Whistles arrived I studied it with interest, particularly those specific to the Grantham area. It is these extracts that follow and raise one final query. 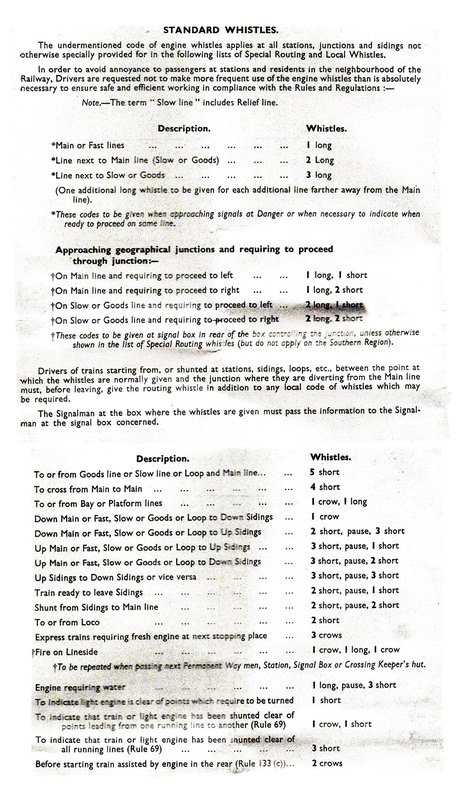 Was an engine driver expected to know all the whistles appropriate to his signed off route knowledge?